Are you a candidate looking for latest updated vacancies in Institute of Himalayan Bioresource Technology Recruitment 2019? 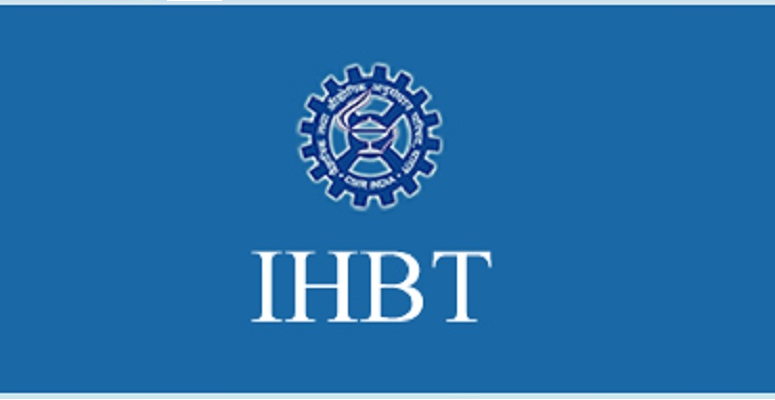 Here is good news for entire aspiring candidates, IHBT has released out the official notification for IHBT Project Asst Recruitment 2019 and few. Refer the below –tabulated details and check out the eligibility to apply for the postings IHBT junior Research Fellow Recruitment 2019 and 5 more posts and nurture your skill and develop your career growth. Junior Research Fellow Inda-Srilanka joint Project Entitled- High throughput Genotyping to expedite the genetic characterization and dissection of important Agronomic traits of tea Master Degree in Biotechnology/ any branch of biological sciences with 55% marks to be scored. Candidates with CSIR/UGC – LS/ ET-LS/ GATE/ ARS-NET certificates are qualified to apply for this job. Project Assistant Level-2 The alternative in vitro systems for production of naphthoquinone pigments from Amelia Species on a sustainable basis Master Degree in biotechnology/ life sciences certified with 55% scored candidates is qualified. Project Assistant Level-2 Exploration of Himalayan plants for Novel Antimalarial agents: Characterization of Potential Molecules Master Degree in pharma/Master Science degree in Chemistry certified with 55% scored candidates is qualified. Step 1: Visit the official website of https://www.ihbt.res.in/en/other-links/recruitment with the tagline of IHBT recruitment 2019. Step 2: Click the suitable career option from the IHBT Jobs 2019. Step 5: check the documents to be submitted along with the application form and make ready of all documents and Keep a Xerox copy of the documents. Step 6: Fill up the columns by mentioning your original details, don’t use any fake details to fill up the columns and make sure to attach the self-attested copies and documents for verification. Step 8: Make ready to face an interview venue at CSIR_IHBT, Palampur (H.P) from the time 9.00AM. Step 9: Verify entire documents to be submitted on 30th Apr 2019. Selection for the post of Institute of Himalayan Bioresource Technology Recruitment 2019 will be based on written test/interview.